Starting down the artistic road came to me later in life and I’m constantly feeling like I’m playing catch up. That being said, photography has become a part of my every day existence and the expression it affords me has been a tremendous tool for self-understanding and discovery. I sometimes see in the real world…the light or the subject. But sometimes the seeing is internal, a feeling, and what shape that takes in my mind’s eye. The themes that have emerged over time relate to my connection to the natural world and how I move through it, the vivid internal dialogue surrounding my life experience and connections to the past and future. As I age my ancestors have begun to play into my work, in particular the women that came before me. 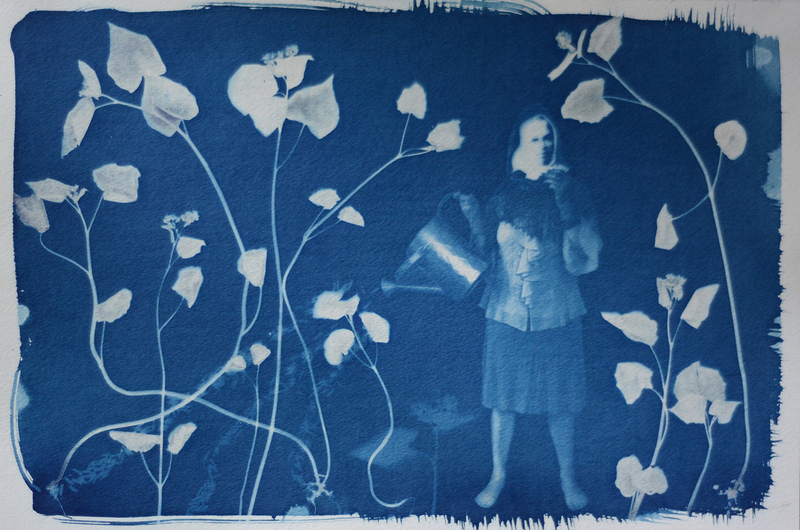 Working primarily with analog tools and techniques, pinhole imagery and cyanotype printing influence most of my current work.